Craig Rodsmith (not his real last name) has been cranking out customs for decades now, though in the last couple of years he’s seen a serious surge in popularity. Much of that comes from a “turbo dustbin” build he created with a Guzzi that debuted at the Handbuilt Show in Austin a couple of years ago. Here’s an earlier Guzzi creation from Craig that’s received less attention…but it’s actually available to buy. Less attention does not meet that it’s been completely ignored, as this Centauro was featured in a BikeEXIF Custom Bikes of the Week post almost exactly two years ago. All the bodywork is handbuilt, and the bike got a new subframe from scratch as well. The custom headers are capped by Cone Engineering mufflers, and the paintwork and upholstery were handled by some of Craig’s colleagues. 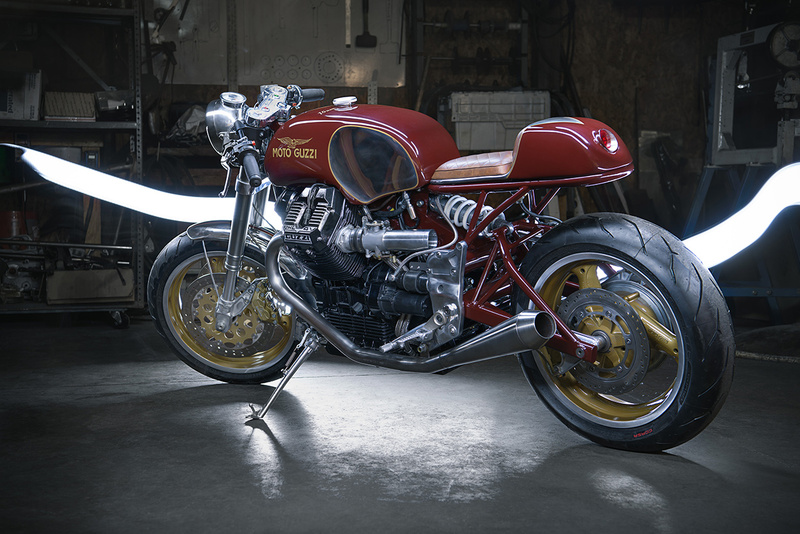 Find this custom Guzzi for sale here at Erico Motorsports in Denver, Colorado for $40,899.